The country is home to over 750 recorded species of birds, which occur in diverse habitats. These environments range from the principle vegetation which is Miombo Woodland to grassy wetlands (dambo’s), Mopani Woodlands, thickets, riparian forests, swamps, flood plains and wet evergreen forests. The Zambian Barbet (Chaplin’s) is the only true endemic bird in Zambia. Other bird specials found in Zambia are African Pitta, Pel’s Fishing Owl, Shoebill, Black Collard Bulbul, Angola Lark, Bamboo Warbler, Forbes Plover, Grimwood’s Longclaw, Black and Rufous Swallow, Laura’s Woodland-Warbler and Margret’s Batis. Over 600 species are residents; about 100 are non-breeding migrants or vagrants from the Palaearctic region; and the remainder comprise non-breeding Afrotropical migrants and vagrants. Zambia contains the bulk of Africa’s Miombo woodland vegetation, and is the best country from which to see birds that are endemic to the Zambezi. The good news for birders is that these river systems are also home to an array of spectacular birdlife, including Zambia’s Chaplin’s barbet. Zambia is home to over 750 recorded species of birds, which occur in diverse habitats ranging from Miombo Woodland to grassy wetlands (dambo’s), Mopani Woodlands, thickets, riparian forests, swamps, flood plains and wet evergreen forests. The Zambian Barbet (Chaplin’s) is the only true endemic bird in Zambia. Northern Zambia boasts one of the world’s greatest wetland systems, the Bangweulu Wetlands, where you can catch a glimpse of the rare Shoebill. The Nchila Wildlife Conservation Area falls under the Guinea-Congo Forest Zone and, as a result of this, is home to a number of central African specials not found anywhere else in Zambia. And a trip to the Mutinindo Wilderness will give you the chance to catch a glimpse of many near-endemic species such as the Miombo Rock Thrush and Sousa’s Shrike. Eastern Zambia is home to the Luangwa national parks. The South Luangwa National Park, which forms part of the Great African Rift Valley, possesses huge concentrations of birds and wildlife, and the North Luangwa National Park offers unspoiled wilderness. Intra-African migrants and Palearctic migrants you might encounter whilst in the region include Barred Long-tailed Cuckoo, African Crake, Allen’s Gallinule, Dwarf Bittern and African Pitta. North Luangwa National Park – The most northern of the three national parks in the Luangwa Valley, the North Luangwa National Park is wild and unspoiled. For more than 30 years the park, which was declared a wilderness area by authorities, was only open to rangers from the game department. Now, with a bird list of over 300 birds, it is a veritable wonderland for avid birders and those who love walking safaris. South Luangwa National Park – A world-renowned wildlife haven located in eastern Zambia, the southernmost national park in the Luangwa Valley forms part of the Great African Rift Valley. The park boasts impressive concentrations of birds and wildlife. With over 458 species of bird, including nearly 50 migrant species, this is a must-visit destination for birders. Intra-African migrants and Palearctic migrants include Barred Long-tailed Cuckoo, African Crake, Allen’s Gallinule, Dwarf Bittern, African Pitta, and large concentrations of Carmine Bee-eaters. Western Zambia is home to the country’s largest national park – Kafue National Park. With an impressive bird list of over 500 birds, the park’s specials include Zambia’s only endemic bird – Chaplin’s Barbet – as well as the African Finfoot, Black-cheeked Lovebird, Scaly-throated Honeyguide, and Black-breasted Snake Eagle. 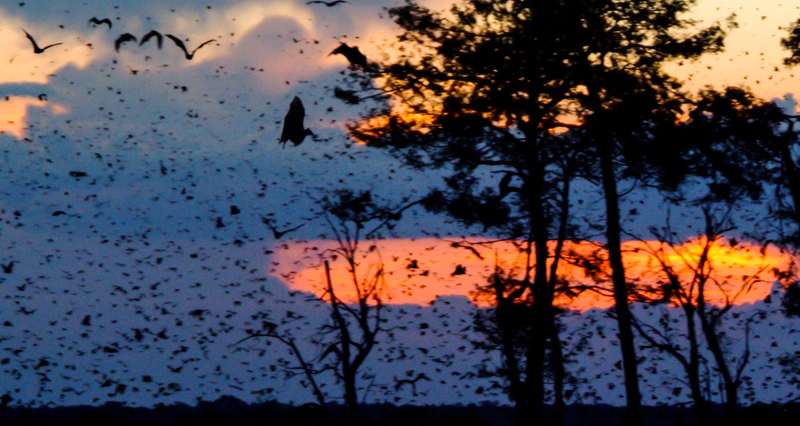 Some of the country’s most important birding areas can be found in southern Zambia. In the mature Mopane forests of Machile you will find the endangered Black-cheeked Lovebird; you will be spoilt for choice in the Lochinvar Lagoon, which is well known amongst birders for its prolific water fowls, raptors, Miombo woodland specials and migrants; and the Nkanga River Conservation Area is the target destination for those in search of Zambia’s endemic Chaplin’s Barbet. Birding is best done in the rainy season (Nov – April) once the migratory birds have returned, however it often great to bird in the colder drier season as it at this time that you can appreciate and see how those birds that do not migrate have adapted to their surroundings. 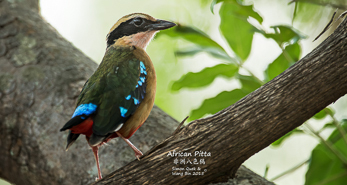 The migrant African Pitta arrives in the Zambezi valley early December at the start of the first rains. Join us in pursuit of this attractive and rarely seen bird. On this safari we also go in search of 2 other birds, the near-endemic Black-cheeked Lovebird and Zambia’s only endemic the Zambian Barbet.